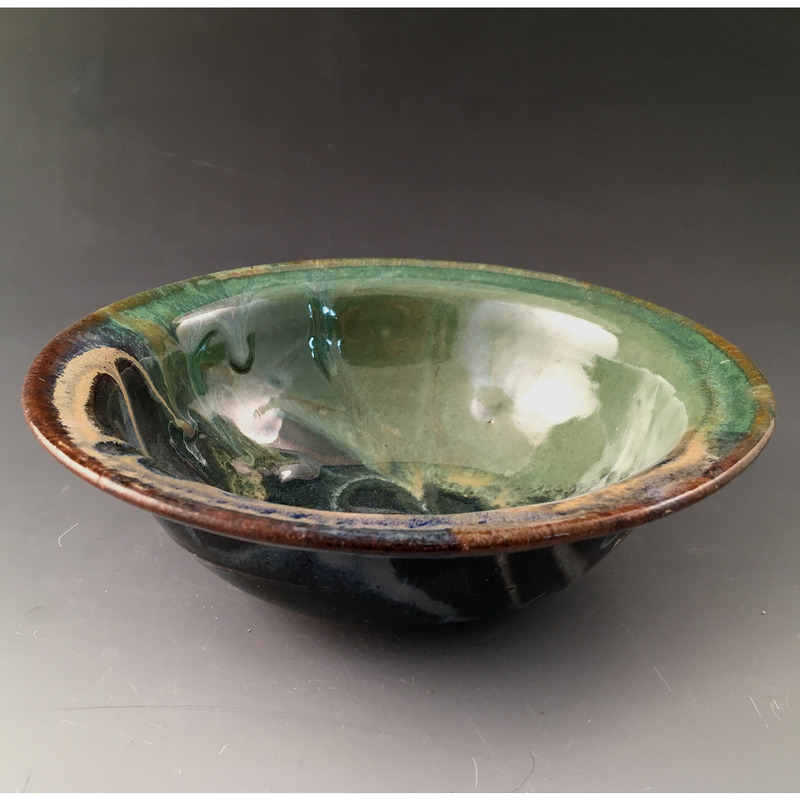 I made Taos Open Cereal Bowl on the potter’s wheel. 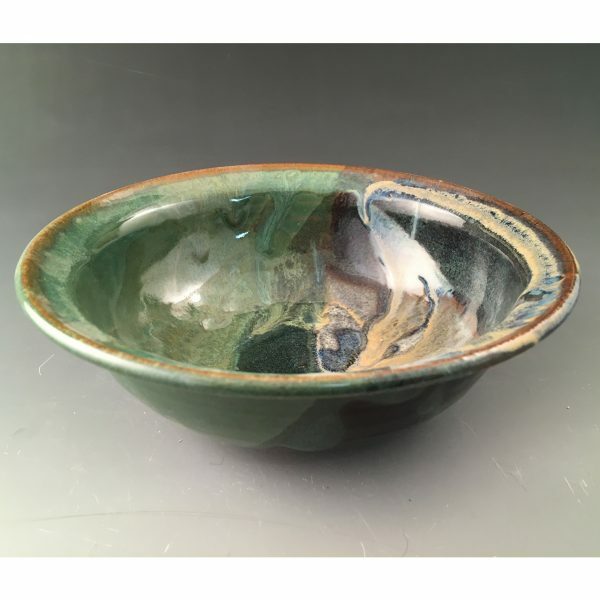 It has a slight trimmed foot and a flattened rim. 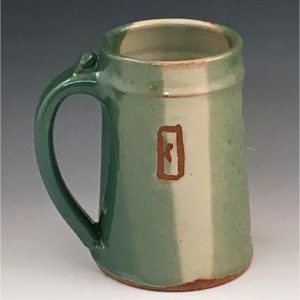 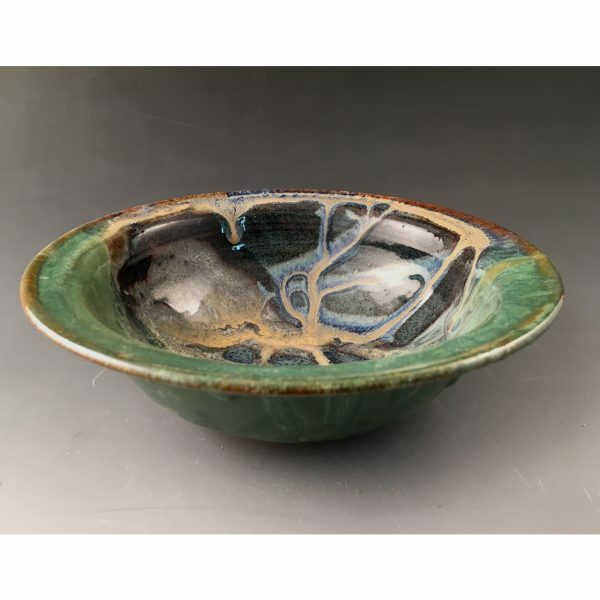 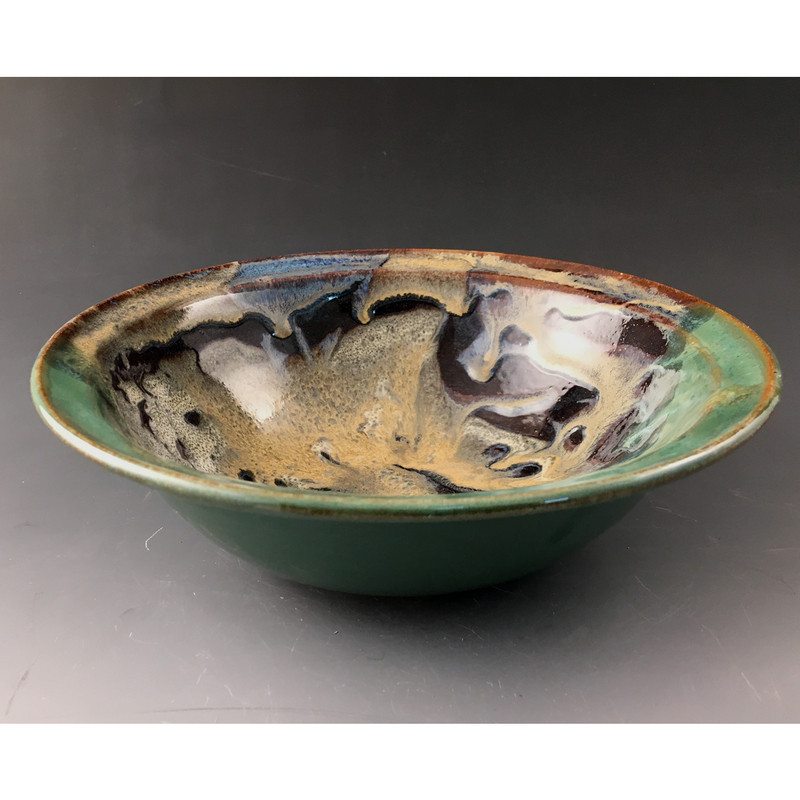 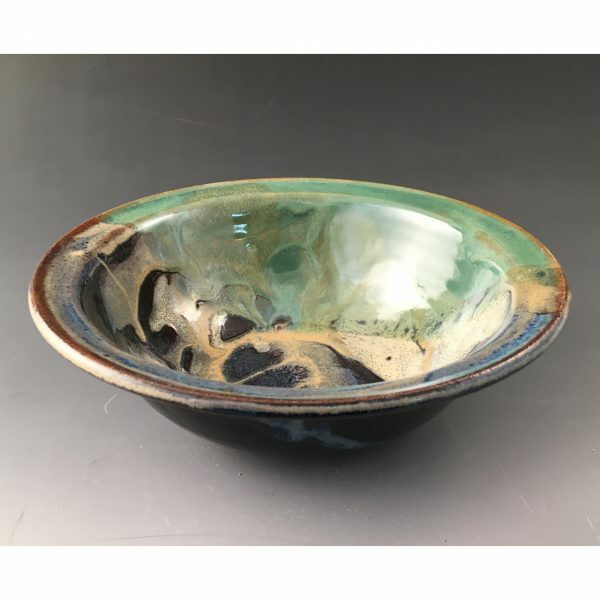 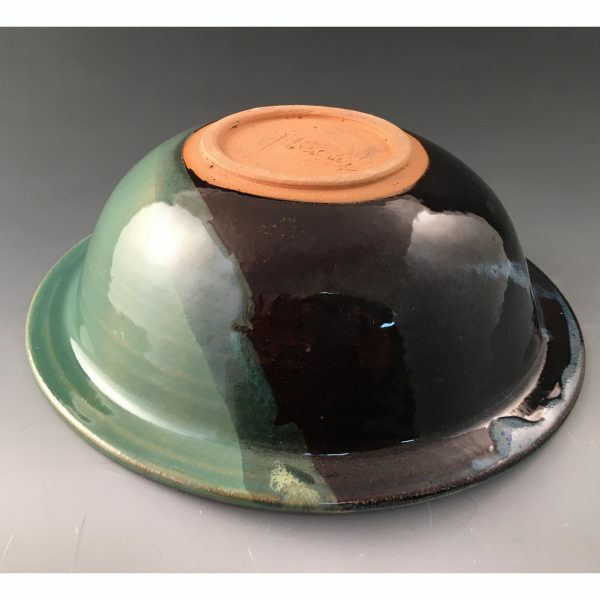 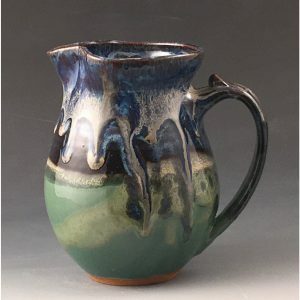 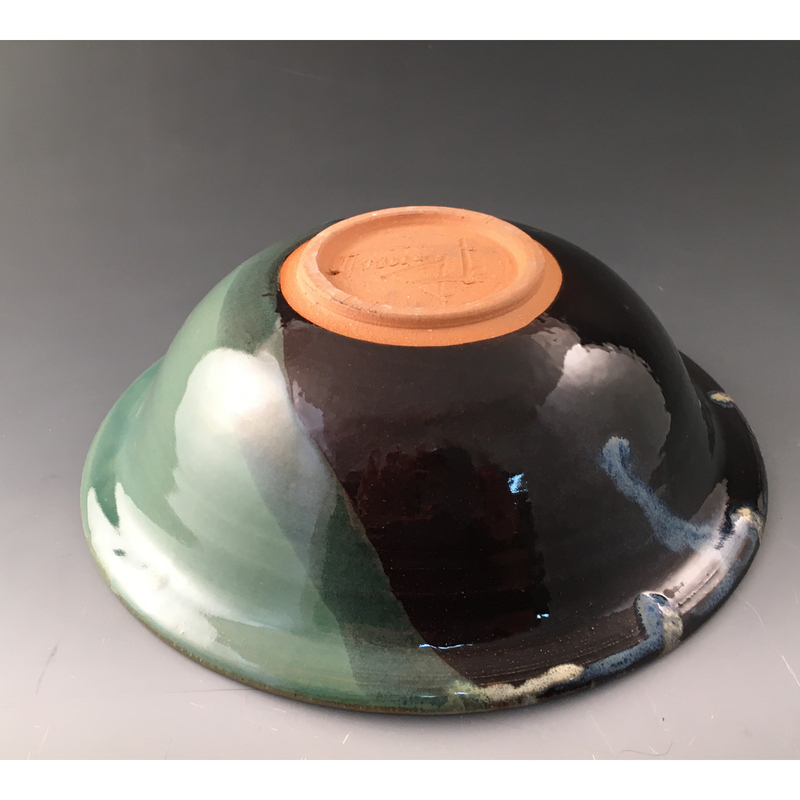 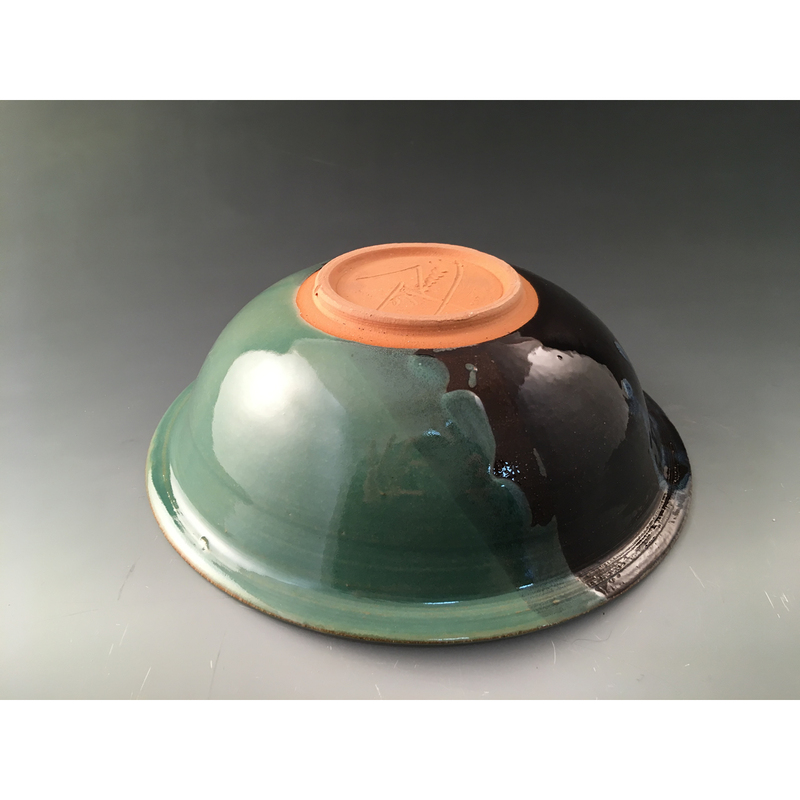 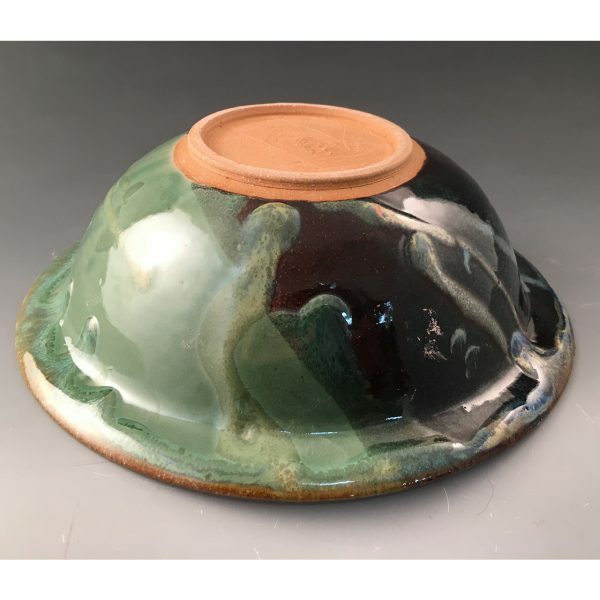 Overlapping glazes in a 4-part glaze application involves dipping, pouring, and drip-trailing! 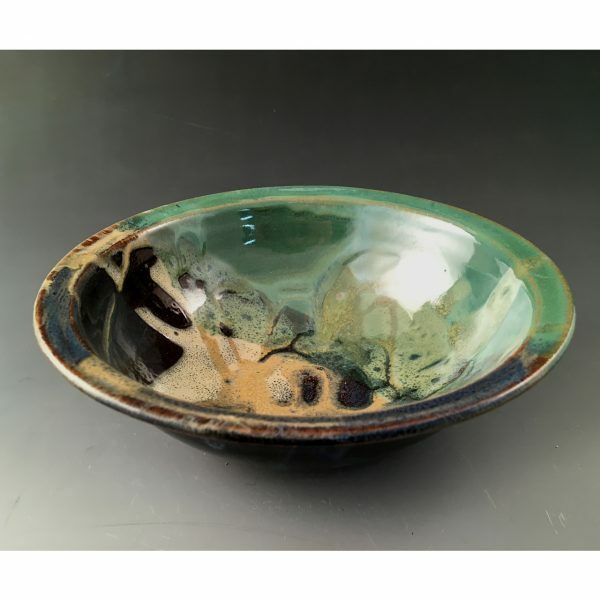 The effect is often a landscape, seascape, moonscape, or even figurative. 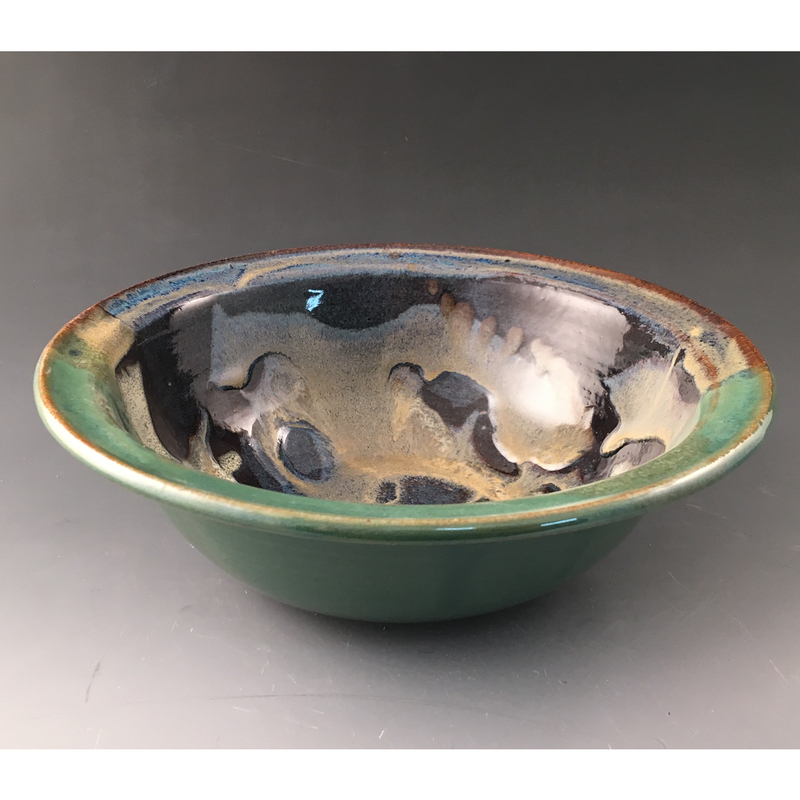 There is a unique melding to each piece which makes it easy on the eye when laying out an entire place setting; but there also is a consistency which creates a reliable aesthetic. Use Taos Open Cereal Bowl, well, for cereal yes; but use it also for salad, serving, or snacks. I fire all my dinnerware to at least 2200 degrees F so it’s safe for dishwasher, microwave, and oven.